Morgan James Publishing, 9781630471538, 292pp. With employee engagement between 26-30 percent leaders are looking for ways to engage untapped employee potential and maximize their capital investment in HR. A new business paradigm is emerging in the twenty-first century where an organization's culture is the most important and valuable asset a company has to attract, engage, and retain top talent. The most successful corporations in the world are values-driven and consciously invest in building their workplace culture so that it aligns with the personal values of their people. Values are a source of life-force energy that come from within. They inspire and motivate us and embody our heart and soul. Study of contextual cardiology has demonstrated the existence and power of the heart's energy. We experience this in the form of emotional intelligence and intuition. The more leaders practice connecting with their emotional intelligence (emotions such as love, compassion, loyalty, and trust), the more effective they will be at leading themselves and others. This is because employees are looking for leaders they can trust and who care for others, want to make a difference, and contribute to society. A facilitative leadership style is the key to transforming an organization and creating a culture of engagement. It moves people from being focused on "me" (self-interest) to "we" (common good). Facilitative leaders unify the organization, connect hearts and minds, empower employees to bring their best selves to work, and create a WOW culture where employees love what they do. 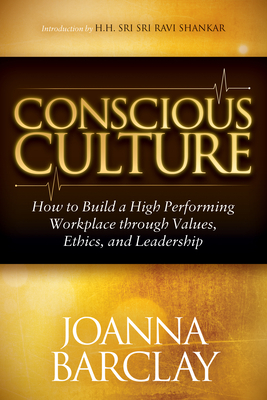 The book contains unique tools for inner and outer transformation, along with case studies and worksheets to support leaders' journeys of culture change to measure, map, and manage cultural transformation. What you measure you can manage. Organizational transformation begins with the personal transformation of the leaders because organizations don't change; it's the people in them who do. Leaders learn how to "walk the talk" and be the change they want to see.